There's trouble in paradise for Amy and Sheldon! 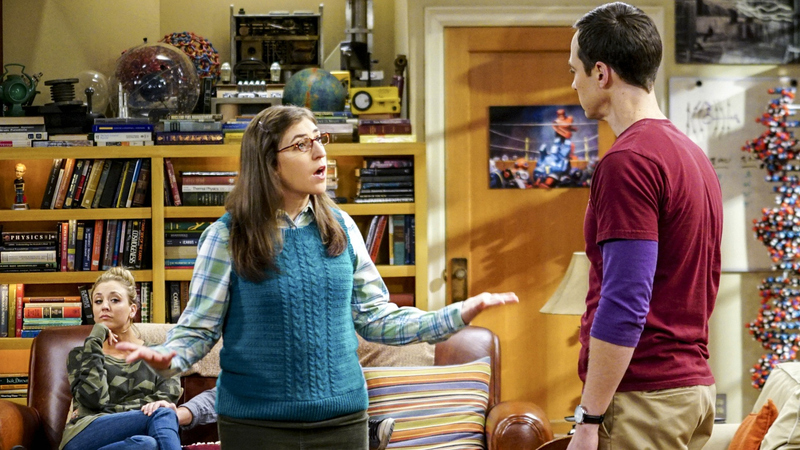 Sheldon and Amy's cohabitation experiment hits a roadblock and Sheldon threatens to break off their relationship when Amy refuses to adhere to his strict bathroom schedule. To stop the couple from quarreling—and keep their current living arrangement the same—Penny and Leonard separate ShAmy until everyone's cooled off. Meanwhile, Howard and Bernadette find unexpected guests in their backyard when they decide to stay home from a planned vacation on the latest episode of The Big Bang Theory entitled "The Hot Tub Contamination."